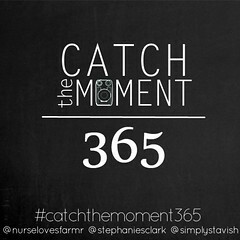 Bee's Circus: Catch the Moment 365. 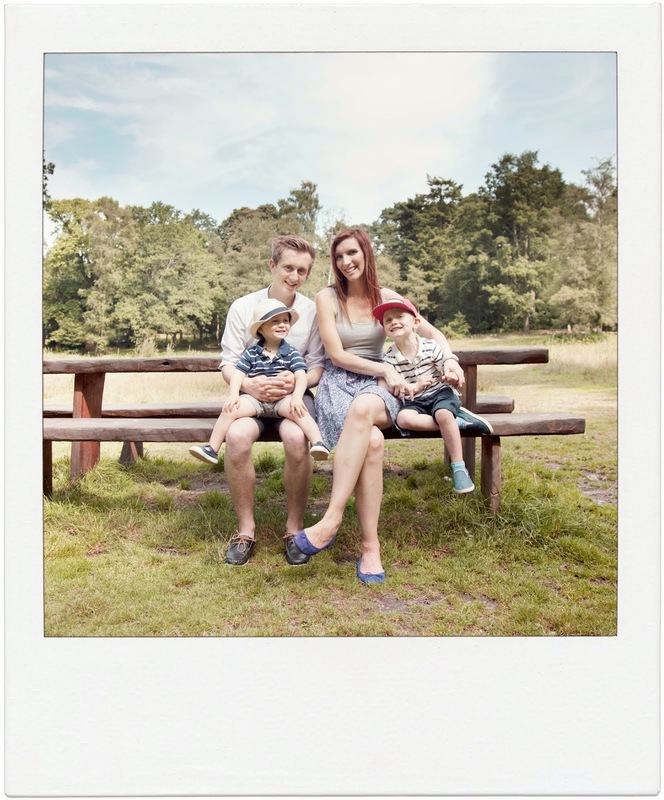 Week Twenty-one. 141. Crazy that it was shorts and t-shirt weather last week but today it is grey and rainy - I'm tucked up under a blanket! Daniel got a new bike helmet so Joshua got his old handmedown, which he insisted upon wearing to the library... 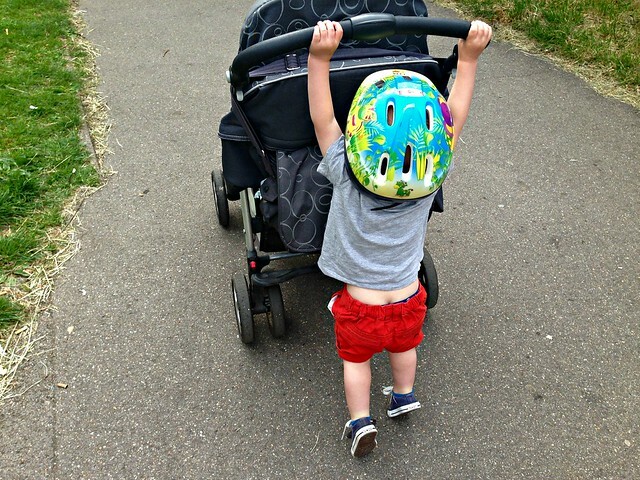 Pushing a pushchair is clearly dangerous biz! 142. 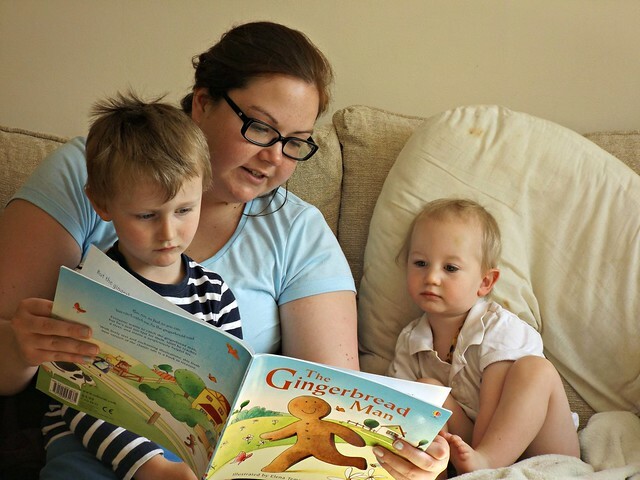 The boys reading their favourite story with their favourite godmother. This girl is simply amazing, she is always there for me & such a wonderful soul. We are so lucky to have her in our lives. 143. 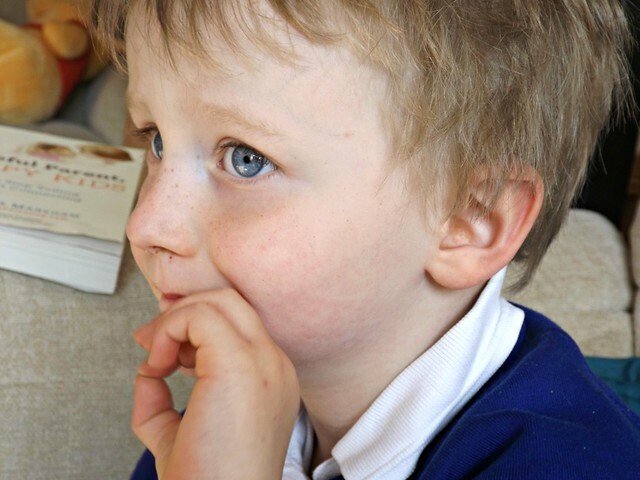 Blue eyes, little freckles and messy hair, a tired boy after a busy day at nursery. He was pretty focused on whatever show they were watching. 144. Snuggles with Daddy. 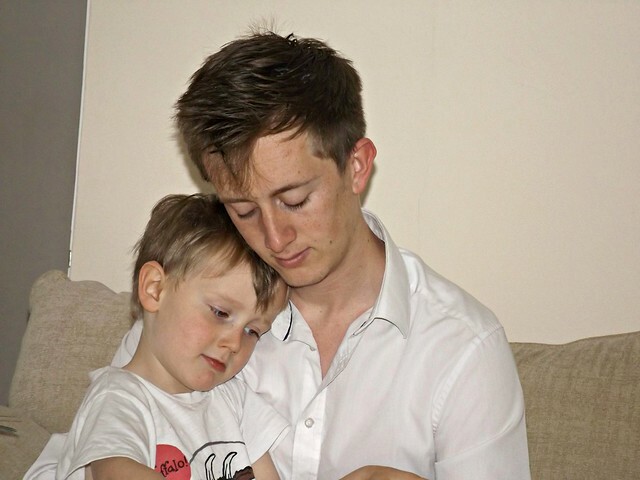 Daniel's finding separation from us pretty hard at the moment, he guilts us by telling us how much he is going to miss us. It's hard having Colin work so much, but we truly appreciate how hard he works for us. 145. I just wanted one cute picture, this was the best of a bad bunch! Visiting Nana June at the care home, after she had another seizure-type last week. 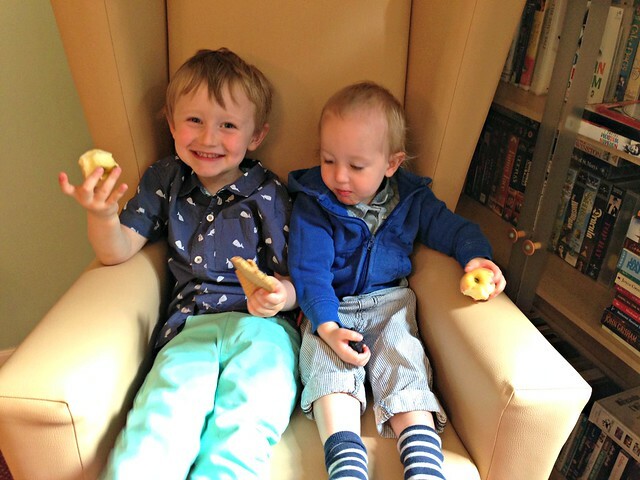 Cheeky monkeys charm all the care workers into giving them all the biscuits! 146. 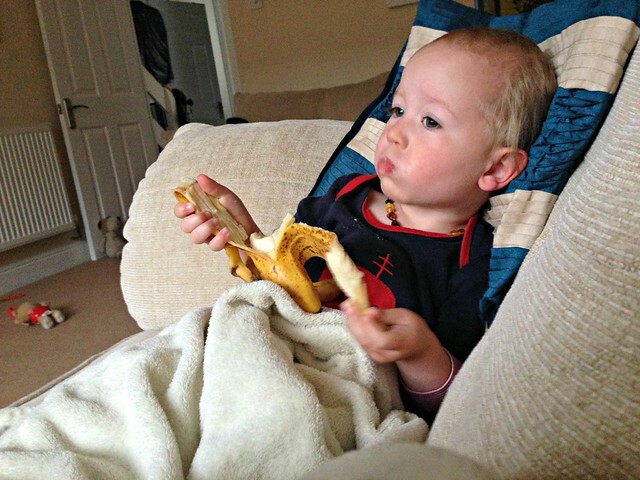 Starting the morning off slow, albeit early, while his big brother was in bed we chilled out and snacked on bananas - his favourite. 147. 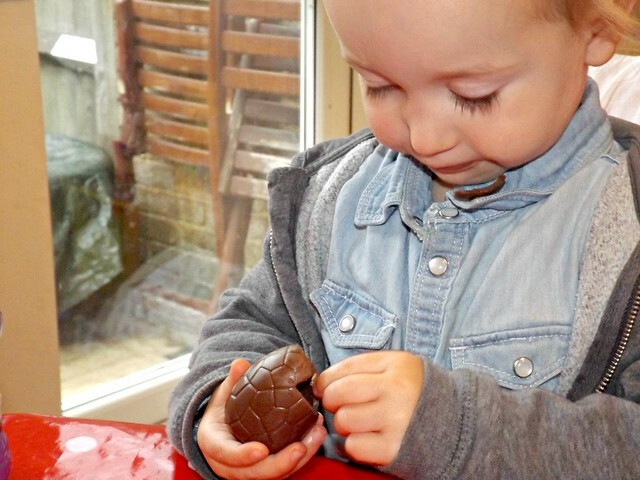 A special treat - a dinosaur egg! - for having no accidents all day!! Blogging during "quiet time" while Joshua naps & Daniel plays on his Leappad, something I don't usually do but I'm planning on having a little date night with Colin tonight so no computers/iPads/iPhones! I've spent the morning tidying and organising our room, and the boys' room, plus dinner is in the slow cooker so I'm letting myself relax. Haha, who am I kidding, I hardly ever do much during naptime! Unless you count watching reality TV? !